A synthetic-insulation expedition bag for tough conditions. 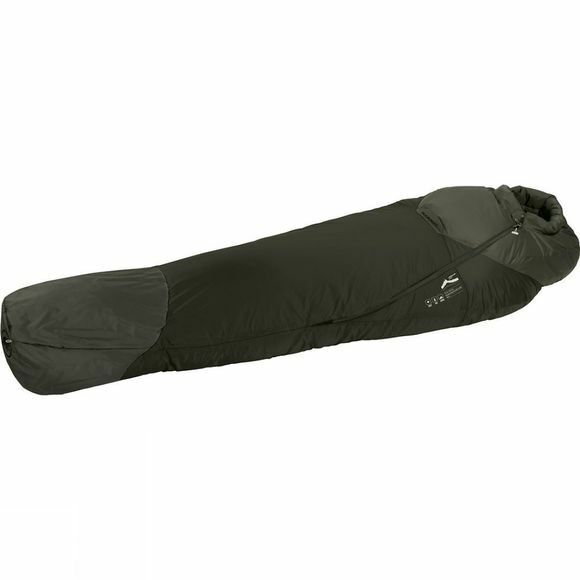 From tundra to taiga, the Tyin MTI 5-Season Regular Sleeping Bag can cope with damp and extreme cold conditions. Ajungilak MTI Endurance insulation is very robust and can still perform in damp conditions. ShelterTX fabric around the foot box and hood provides optimum moisture protection. An inner zipped pocket lets you store essentials, such as a headtorch, close at hand.